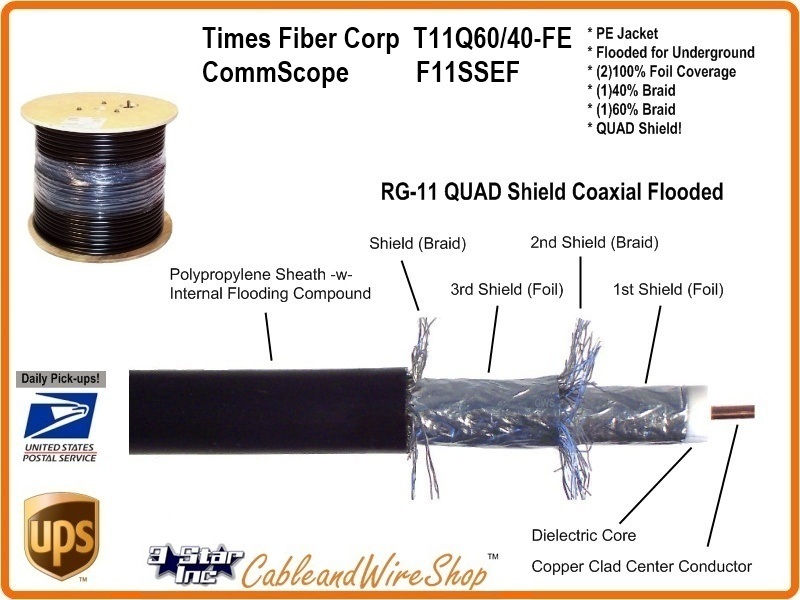 Note: SuperShield (Quad Shield) - Taking the Tri-Shield construction one step further, this construction adds an additional layer of shielding braid to provide the greatest strength, durability and immunity from network interference. Provides low attenuations for service drops greater than 150 feet in length. In the entire Cable Product line, this is our greatest seller. Our Customers are using RG11 Quad Shield cable, Connectors, Cable Prep Tools and Amplifiers to Increase the Signal Level at their Cable TV and Satellite Receivers to take advantage of the ever burdgeoning Bandwidths of New HD signals being Broadcast.